Ding, dong, the retail witch is dead! 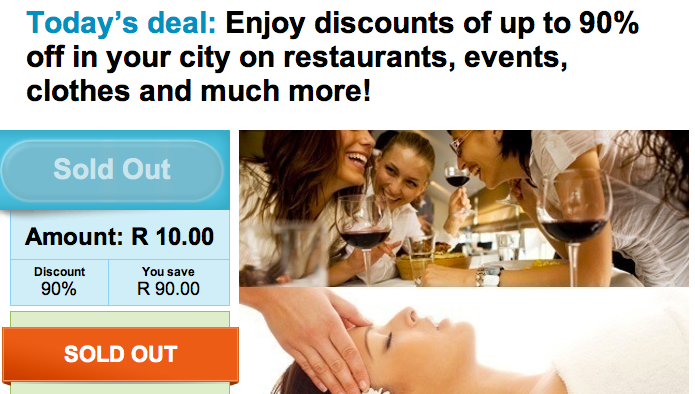 This was the problem with the GROUPON business model from the get go! You can't go and bite the hand that feeds you! The merchants or companies "advertising" through GROUPON South Africa had to basically do it at a loss for the apparent marketing value all the while providing a product for GROUPON to sell. We are launching a better model on the 1st of December 2016. It will be app based and completely free for all businesses to join, not just the first time but forever! No sign up fee, no hidden cost, free. Check out www.qpon.co.za and https://web.facebook.com/QPON.... for up to date details.